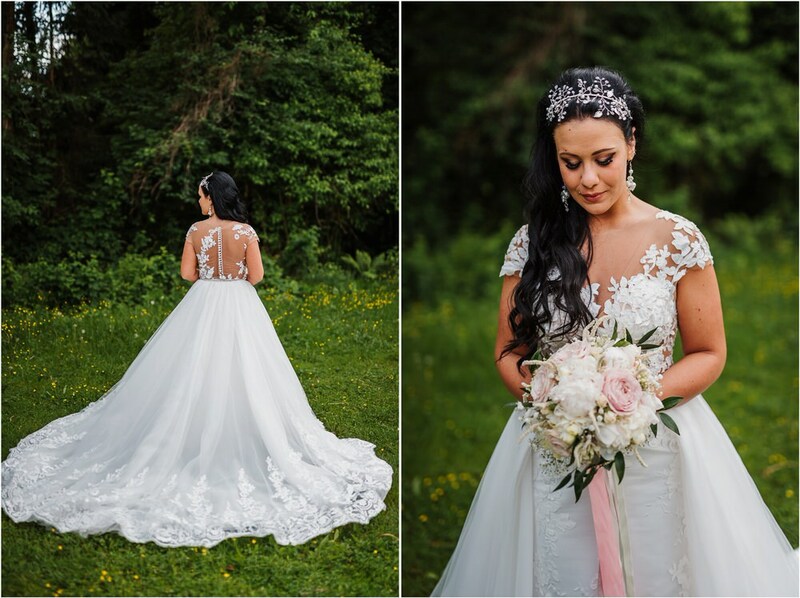 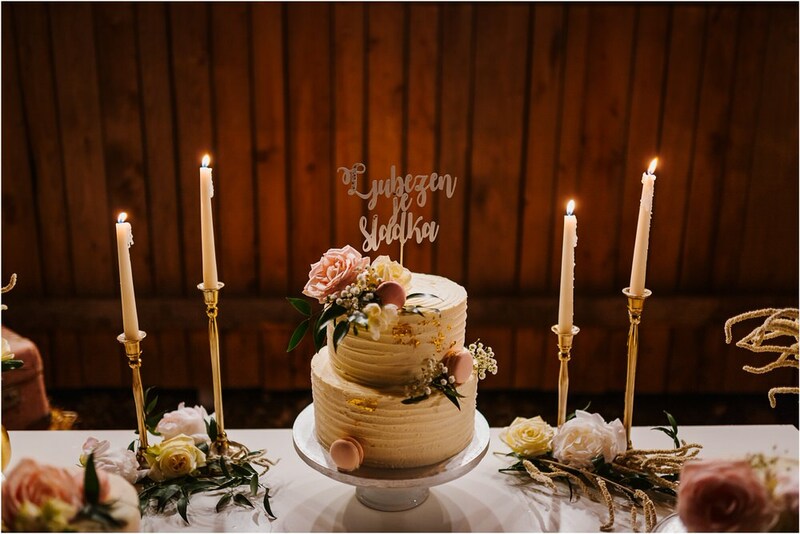 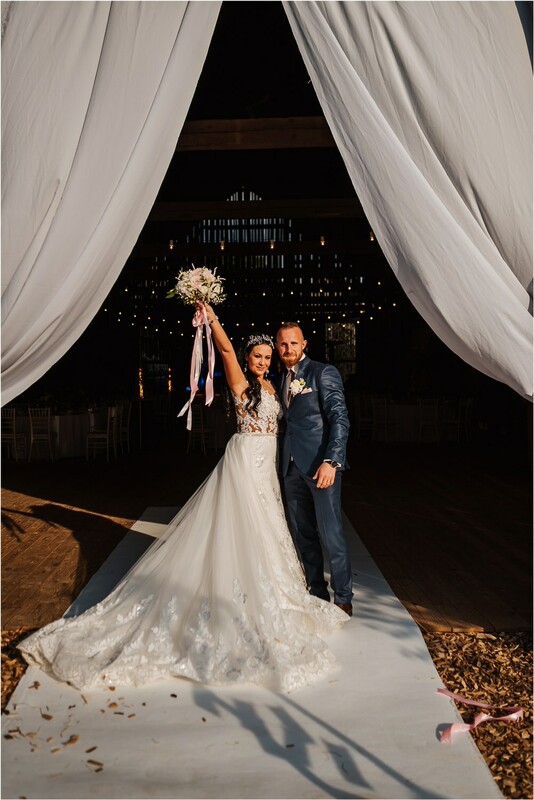 Back in late spring, we were part of Jasna and Dejan's romantic and elegant barn wedding. 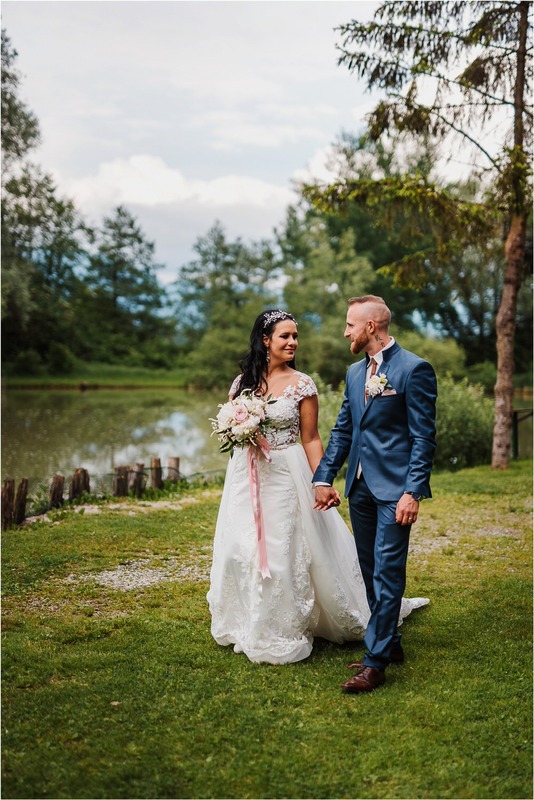 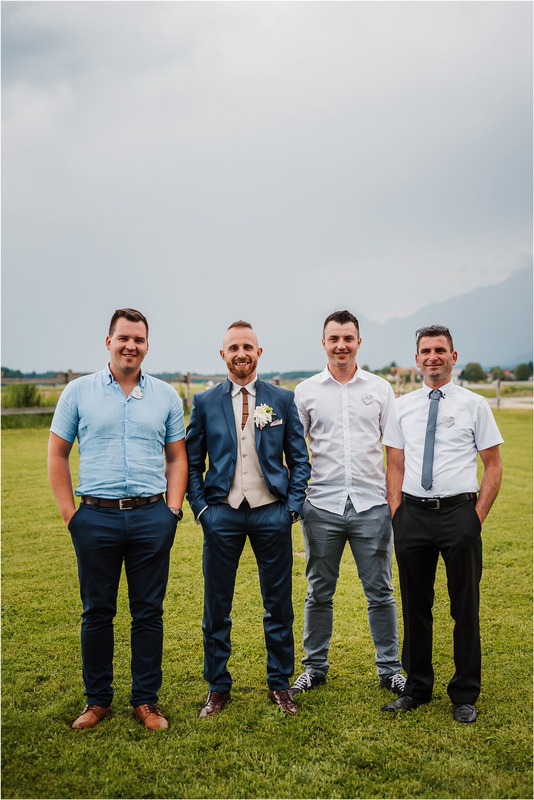 Jasna and Dejan both come from different parts of Slovenia, one is from Ribnica and one from Štajerska, but they call Ljubljana their home for a while now. 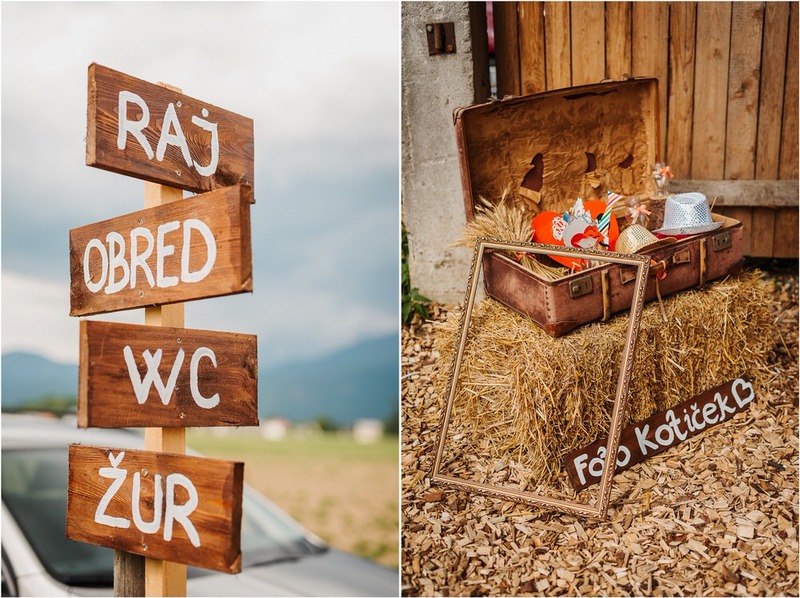 They chose Skedenj as their location – not far from Ljubljana and close to the mountains and the nature. 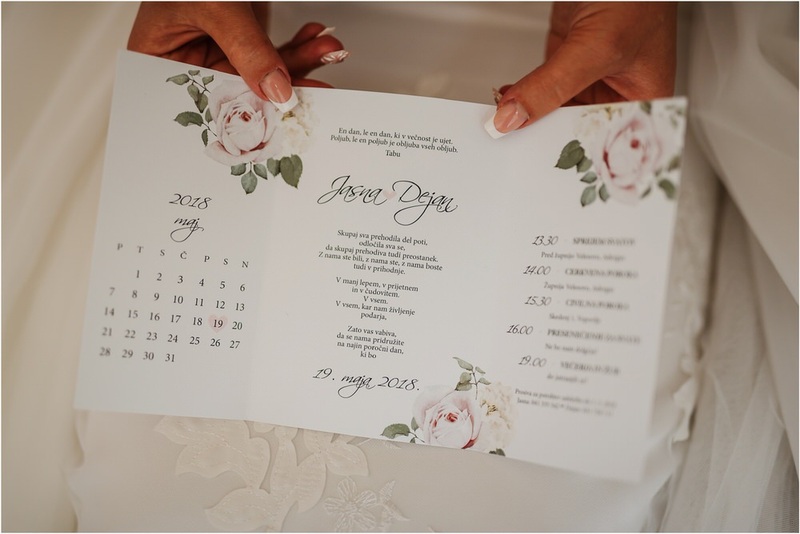 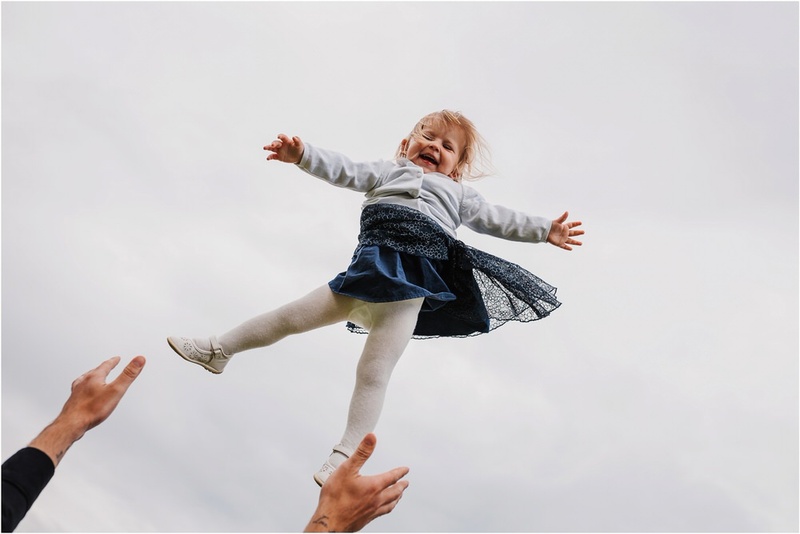 Jasna and Dejan planned their wedding down to every detail and we loved how organised the whole day was. 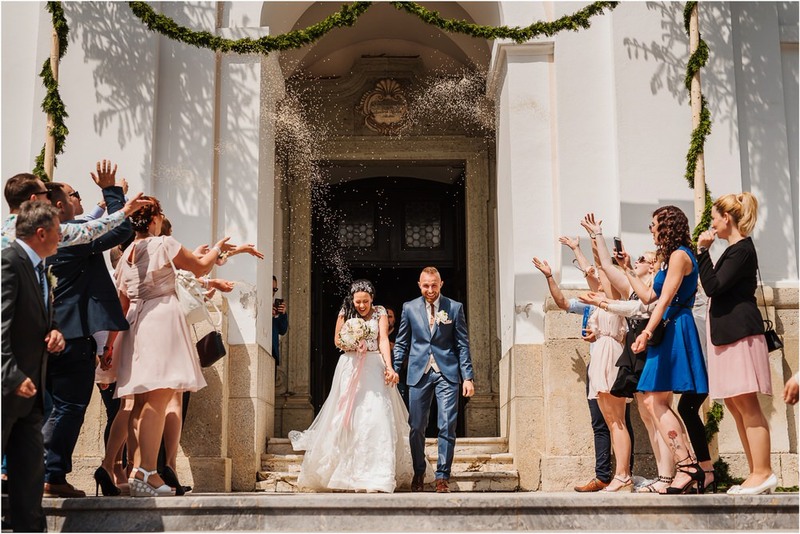 We started with the church ceremony at Velesovo and then moved to Skedenj, where the civil ceremony and the reception were held. 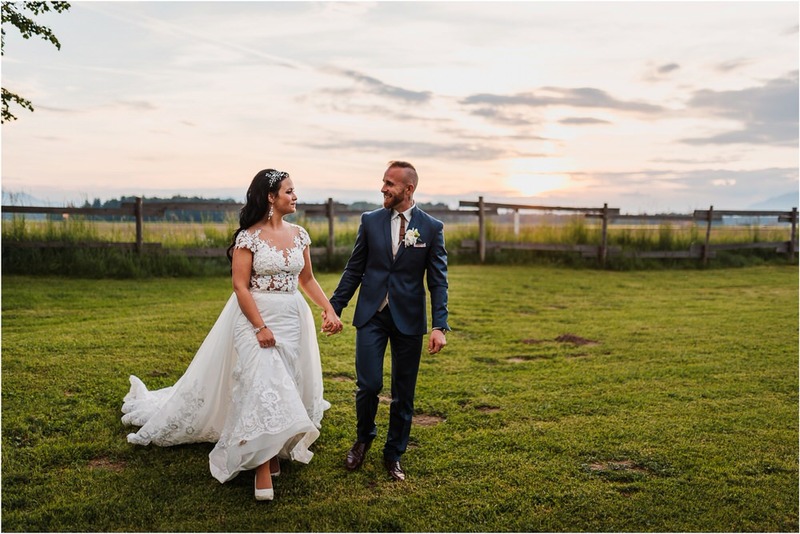 After the civil ceremony we took a walk through the neighbouring fields of young wheat and waited for the sunset together. 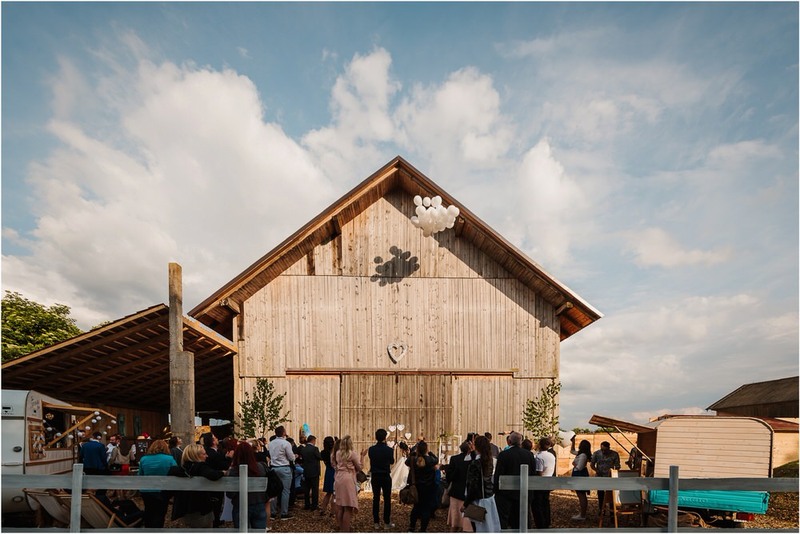 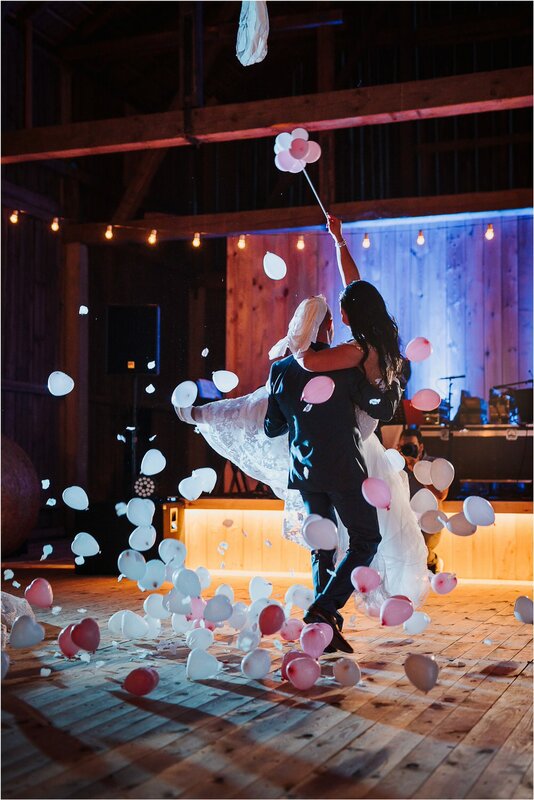 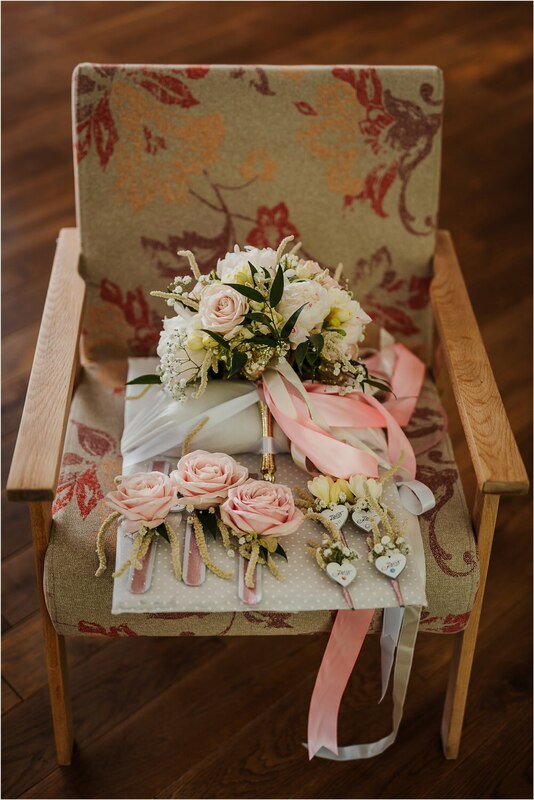 All the tiny rustic details of the barn complimented the pink toned romantic elegance so well. 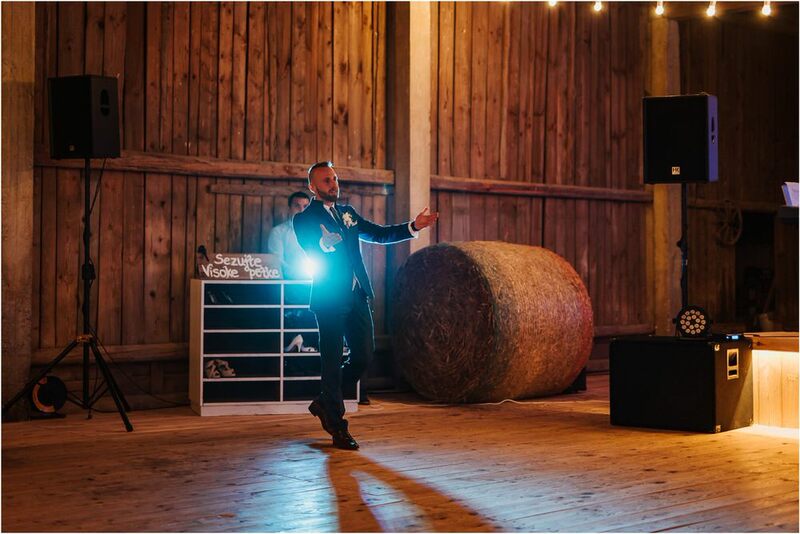 Some of the highlights of the whole day were definitely the barman with his caravan bar, the first dance that ended with a big bang and many tiny balloons flying through the air, and the cake display. 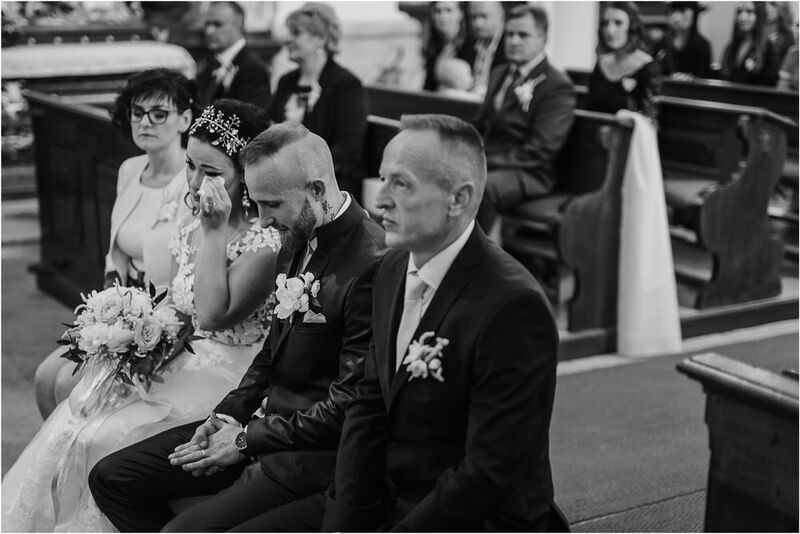 Dejan is a soldier and a few days after the wedding he left to go on a mission for six months. 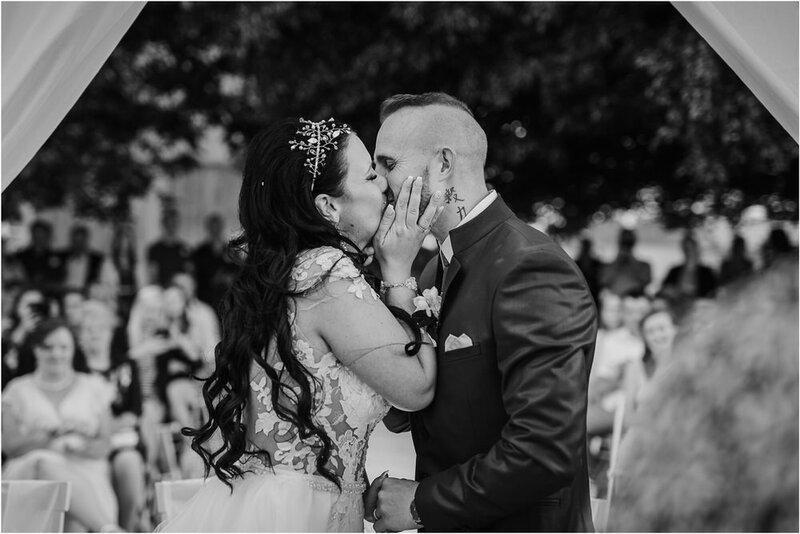 Just a couple of days more and they’ll be together again and finally start to enjoy the married life. 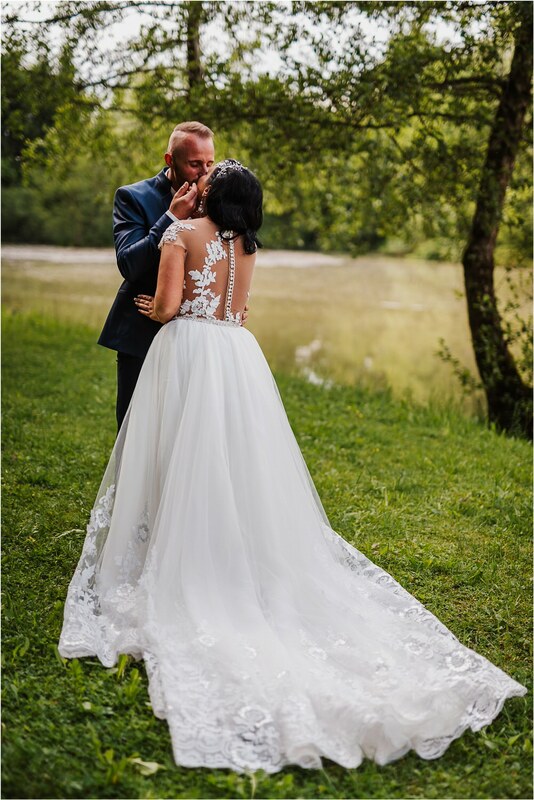 Thank you for choosing us, Jasna and Dejan! 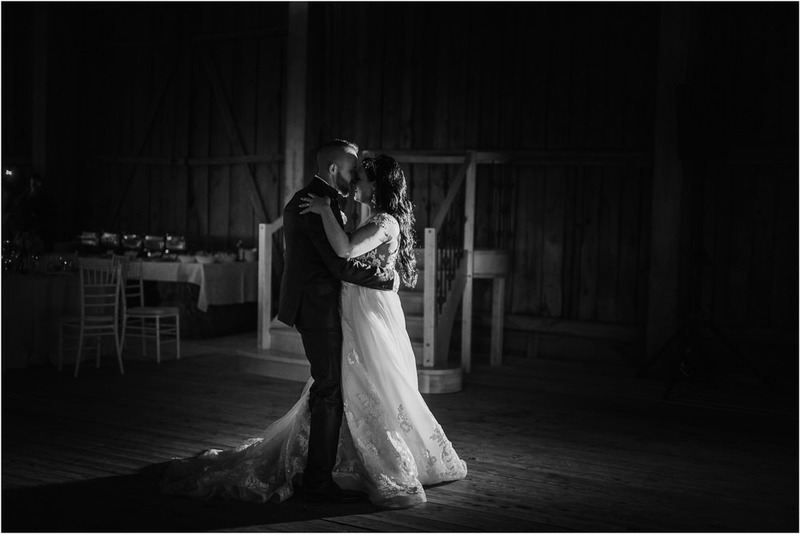 We loved being there with you.